T-shirt designs for the 2009 TerrorWerks scenarios. 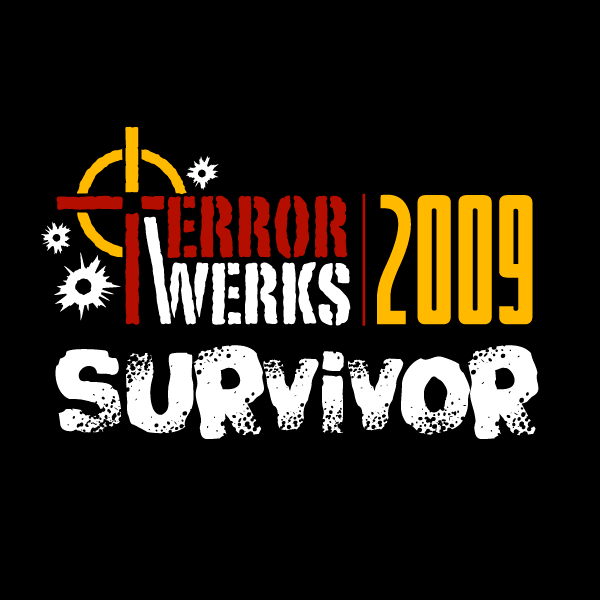 The “TerrorWerker” shirt design was for the volunteers who helped us run the events, while the “Survivor” shirts were available for the players to purchase. TerrorWerks was a live-action futuristic sci-fi combat simulation game that was presented at gaming conventions such as Origins and GenCon for several years.